Product prices and availability are accurate as of 2019-04-23 12:30:24 EDT and are subject to change. Any price and availability information displayed on http://www.amazon.com/ at the time of purchase will apply to the purchase of this product. 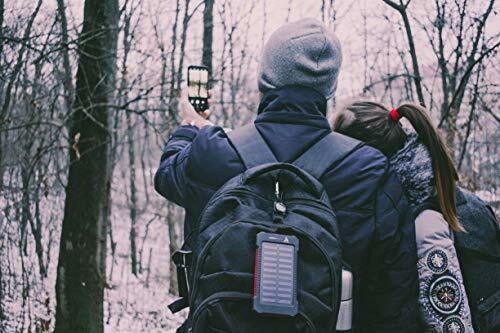 Designed with the outdoor camper in mind, our portable solar charger is ready to help you out with all your power needs, thanks to a 10,000mAh battery and compact solar panel. The included short circuit protection helps maximize battery life as well as preventing devices from overcharging or overheating while plugged in. · One-year warranty for your peace of mind. ADD TO CART NOW and take all the advantages from this fantastic technology when your battery dies on you! WHAT YOU NEED: Are you in love with hiking, camping and in general traveling? 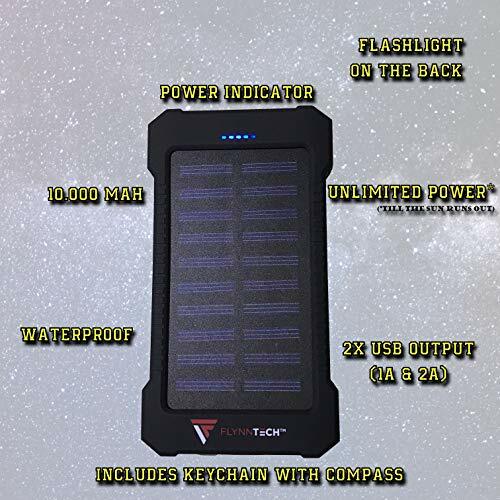 This power bank is ideal for you to keep your phone or other devices on while on the move, as steady sunlight can provide a steady supply of power for these devices. 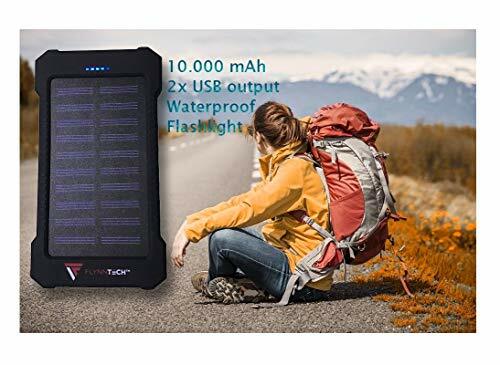 CHARGE FASTER ON THE GO: This solar phone charger can charge your phone in a flash, and you will arrive always with your battery at 100%. A built-in flashlight helps it serve dual purposes as a nightlight and shows you the amount of charge left in the power bank. 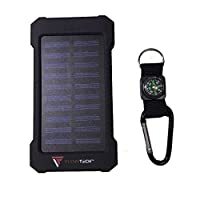 NEVER RUN OUT OF POWER: No need to worry about batteries with this model because it has a high-grade polymer lithium battery with 10,000 mah capacity. It takes 5 hours to charge the solar power bank, and it is ready to charge your device up to 2 and a half times. 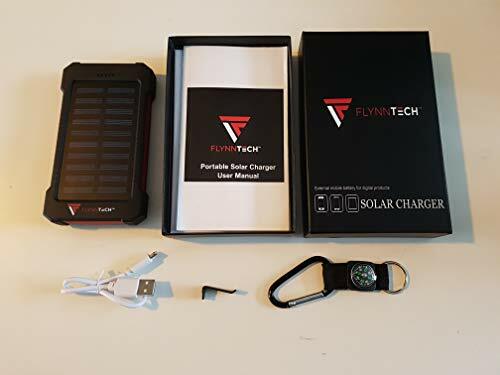 DURABLE AND TRUSTED BRAND: Your best option for a portable charger for your phone is ours because it maintains the wired charging connection, while wireless charging is convenient, it's not fast enough to be worth it on the road. Being also water-resistant and durable can withstand thunderstorms, dropping, high humidity and even splashes from the ocean! MULTI- PURPOSE: The portable charger is powerful enough to charge any USB device (1-2 amperes), smartphones, tablets or devices such as mp3 players or Bluetooth earbuds. No more waiting for devices to charge before you can leave the house, and no more searching for an outlet once you get there.